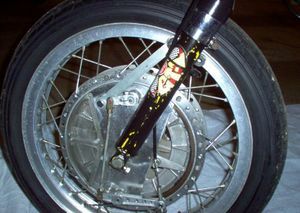 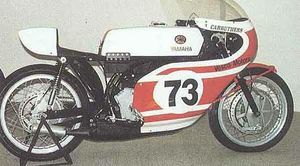 The TR2 was a production roadracer produced by Yamaha. 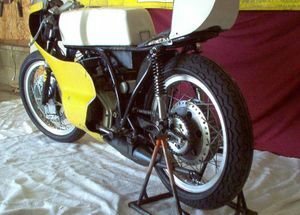 It is a two stroke two cylinder engine. 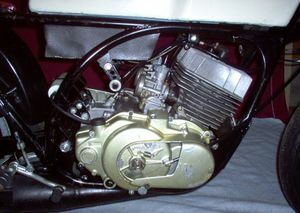 The 350cc TR2 of 1969 was where horizontally split crankcases made their debut on a production racing Yamaha. 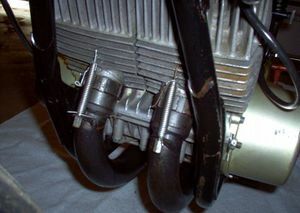 Porting design was nothing to write home about and with windows cut into the rear of the pistons, cracks were common and a close eye had to be kept on tolerances and piston condition. 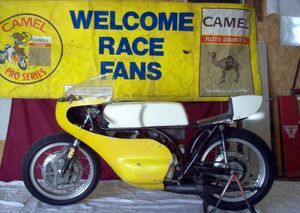 As with all 2 stroke roadracers, reliability and performance only come with detailed attention to cranks, timing and piston ring replacement, plus of course all the other things which go together, the TR2 was no exception. 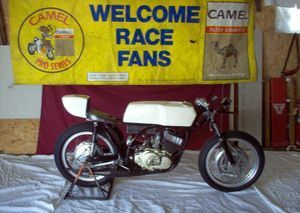 The TR2 shared the same replica RD56 frame as the TD2 and featured horizontally split cases 3 years before the 250. 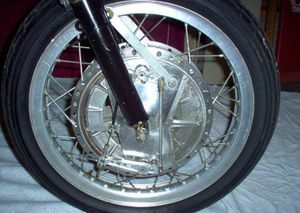 1971 was the year of the updated TR2, named the TR2B. 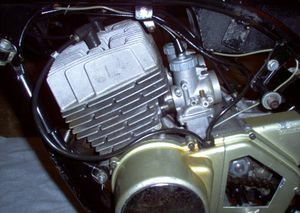 This $Aus 1,923 offering from the factory included improvements such as porting changes, a new connecting rod, small end, as well as a thinner head gasket, all of which combined to give an extra 2bhp at 10,000rpm. 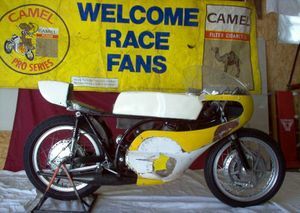 This page was last edited on 21 January 2011, at 18:51.